Awhh this one is very very Burlesque. 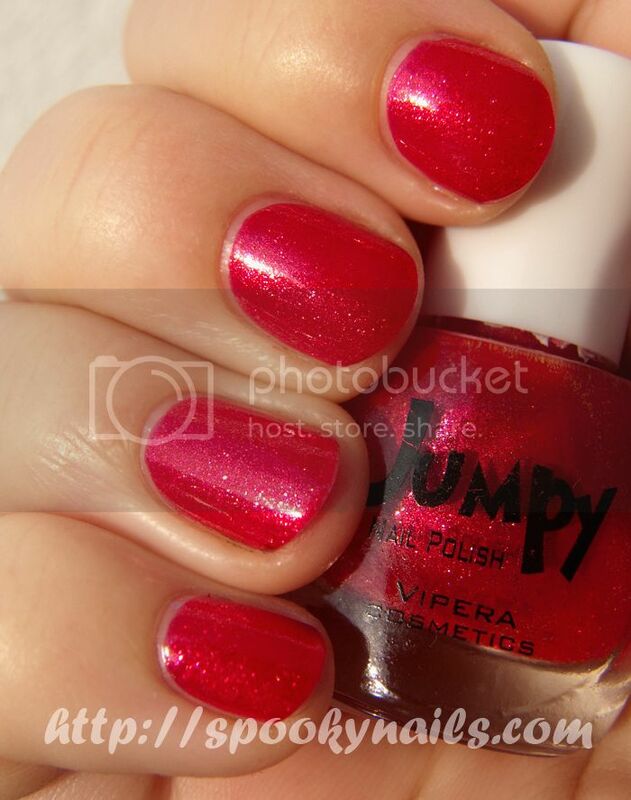 Glassflecked, red duochrome (duochrome effect isn’t that strong like in OPI Burlesque collection). Great. 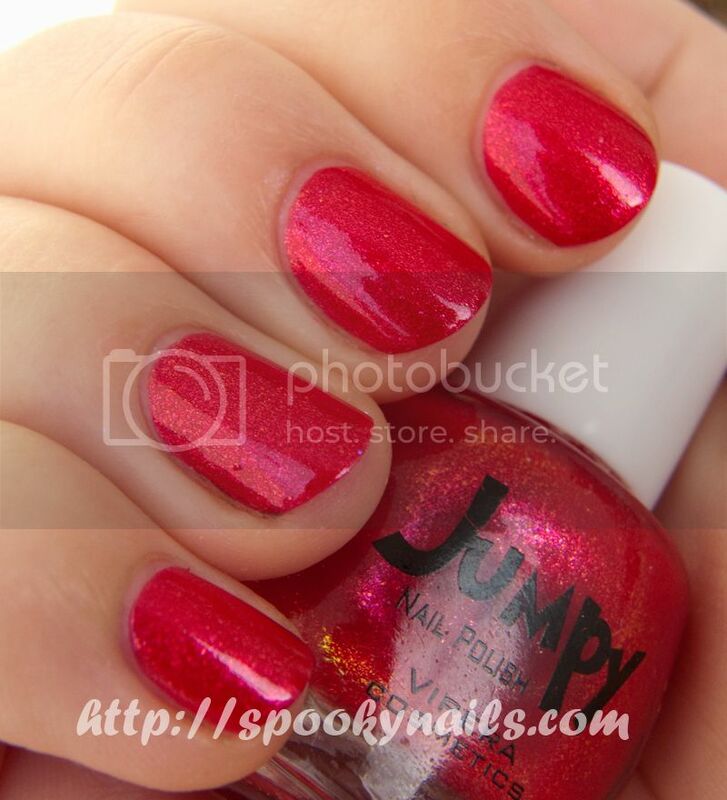 It is one of my Jumpy favourites :-) 2 coats. Ahhh ten kolor jest taki Burlesque. Glassfleckowa czerwień, z delikatnym duochromem (nie tak silnym jak w kolekcji OPI Burlesque). Świetny. Jeden z Jumpy faworytów :-) 2 warstwy.